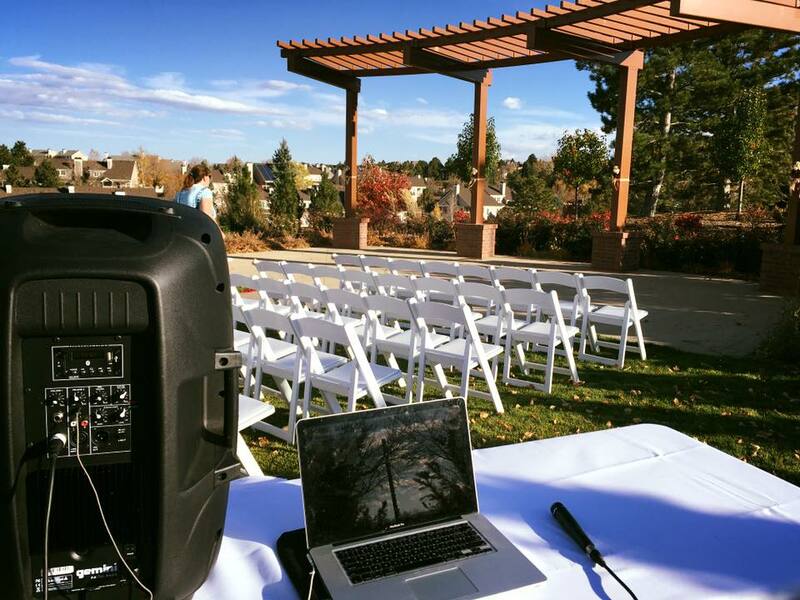 As a professional wedding DJ & MC, I have performed at weddings all over the state of Colorado. I have been a musician and performer pretty much my whole life, and I started performing as a DJ in college (2006) and never stopped. Over the years, I have had the pleasure of watching my business grow, while helping couples have the best day of their lives. I ABSOLUTELY LOVE what I do! Planning a Colorado wedding? I provide detailed consultations to define and understand your vision. I will give advice and input based on my experience, help create a schedule of events and announcements, and create playlists for your ceremony, cocktail hour, dinner, and reception. I will work closely with all of your vendors to ensure that your wedding day goes off without a hitch! Rest assured that I am not just a DJ. I am a true Master of Ceremonies who will ensure that your special day runs smoothly. My top priority is to give you and your guests have a 5-star experience. I will execute your timeline to a T, while interacting with you and your guests in a tasteful, professional manner. When it comes to the music, you won’t have to worry about a thing, just dance and enjoy your wedding! Pricing includes three consultations, sound system, lights, and additional setup time. The pricing above includes additional time for setup and teardown of lights and sound equipment at no charge to you. Example: If you hire me for 6 hours, I will show up an hour early to set up - that hour spent setting up is NOT counted against your 6 hours. Have an event that is not a wedding or is more than 8 hours? Contact me directly at aaron@djmcaaron.com or 720-432-1606 (call or text anytime), or use the contact form. If you would like a quicker response, please call or text me at 720-432-1606 anytime! Please include the date of your event.